A man has been jailed for life after becoming the first person to be retried for murder in the wake of changes to the 800-year-old double jeopardy law. 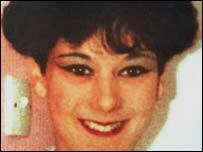 Billy Dunlop, 43, was acquitted of the 1989 murder of Julie Hogg, of Billingham, Teesside, in 1991. He later confessed to a prison officer while serving time for assault, but at that time the law prevented a retrial. 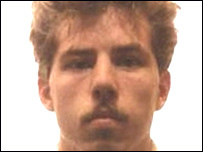 He was told he must serve a minimum of 17 years in prison after pleading guilty last month. Until the double jeopardy law was changed in April 2005, anyone acquitted by a jury could not be retried for the same offence. Dunlop could only be prosecuted for lying at his earlier trial and was given six years in jail for perjury. Julie Hogg's mother, Ann Ming and her husband, Charlie, 81, travelled to London from Teesside, to see Dunlop jailed on Friday. After sentence was passed Mrs Ming, who described Dunlop as "pure evil", said: "I would have liked life to have meant life. Julie's murder has devastated our family and left us in turmoil. "I would like to thank everyone who has helped us in the long, tireless campaign for justice for our daughter Julie. "We just hope after 17 years when he is eligible for parole and if I'm dead, somebody carries on the good work and keeps him behind bars so he will never, ever kill anybody else again." Earlier, in court, Mrs Ming sobbed as prosecutor Andrew Robertson, QC told the court: "Now the law has changed, in large part due to the long and persistent campaign by Mr and Mrs Ming who felt they and their daughter were being denied justice." An impact statement from Mrs Ming was read to the judge, Mr Justice Calvert-Smith. In it, she told of the "indescribable" shock and after-effects of finding the body after police had failed to discover it during a search. "As a family, we are damaged beyond repair and will never be the same again as Julie will never return home," she said. Ms Hogg, who was separated from her husband, had a son, Kevin, who was three when she was murdered. He was not in court today, but his impact statement said: "I have missed out on a mother's love. "I have missed out on a childhood. I have never been able to understand why the man who killed my mother had not been caught by police and sent to prison." Timothy Owen QC, defending, said Dunlop had confessed through remorse and because he wanted to make a clean breast of his crime. Mr Justice Calvert-Smith said he could not take into account violent crimes committed by Dunlop since the murder, but they would be considered by the Parole Board, which would eventually decide when he would be released. Outside the court, Det Supt Dave Duffey, of Cleveland Police said: "The whole campaign has been based on Ann. She's a determined, driven woman. I've got nothing but admiration for her. "There's no doubt in my mind that she's been focal to changing the law." 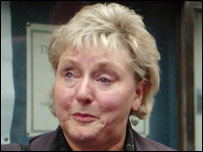 After the double jeopardy law was changed in April 2005 Cleveland Police re-opened the case into Ms Hogg's murder. The pizza delivery woman had been initially reported missing but her body was discovered months later behind a bath panel by her mother. Dunlop, a labourer who lived nearby, was charged with the murder. He faced two trials, but each time the jury failed to reach a verdict and he was formally acquitted in 1991. The law change only applies to England and Wales. In Scotland the former ruling relating to double jeopardy rule still applies.